3.5	stars -	"Review for Custom Made to Measure Performance Exhaust System for Toyota Landcruiser HZJ75, HZJ78 4.2 Litre 1HZ Diesel Ute & Troop Carrier" Dale Carter This Custom Made to Measure Performance Exhaust System for Toyota Landcruiser HZJ75, HZJ78 4.2 Litre 1HZ Diesel Ute & Troop Carrier is the best Toyota I have tried. 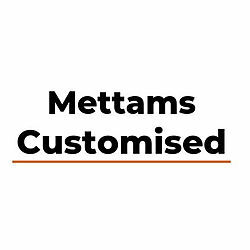 Mettams Mufflers can custom build a performance exhaust system for your Toyota Landcruiser HZJ75, HZJ78 4.2 Litre 1HZ Diesel Ute & Troop Carrier. We do it every day for many makes and models. We do this in our workshops in Morley, Midland and Kelmsott.